Gamer.LK organised this year’s Inter-University Esports event back in April. We were informed about a team who registered with suspicious credentials and upon further investigation with the support and confirmation of the Institute in question, it was found that only one player from the team that registered and played were from the said Institute. Forging of documents constitutes fraud and is a criminal offense. Misrepresentation of oneself using fraudulent documents to Gamer.LK Officials is a grave offence that merits severe penalties. These bans extend to all tournaments organised by Gamer.LK and any Gamer.LK Ranked tournaments, not limited to a single game. In addition, Saleem Hussain (Talle) has been permanently removed as a Gamer.LK Staff member. Furthermore, during the recently concluded Mercantile Esports Championship in July, we were once again informed of individuals who were attempting to register players in a suspicious manner. 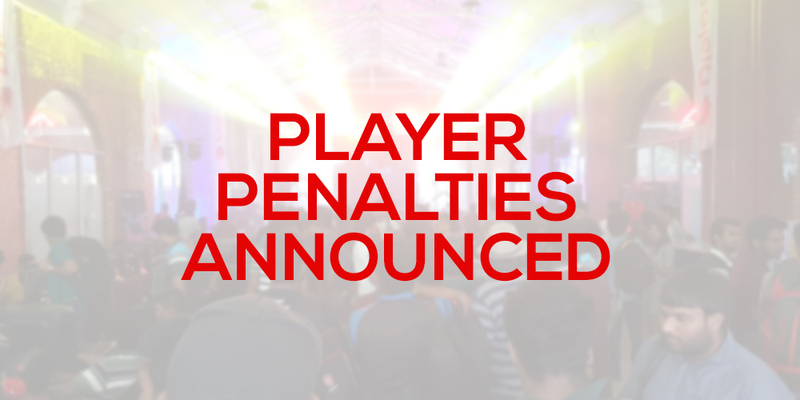 While these players were restricted from taking part in the event itself, the following players are hereby issued a stern warning against their actions. We will be strictly enforcing our registration restrictions at the three majors: Inter-University, Mercantile and Schools in the future. We aim to take Esports to newer audiences through these events and such acts work against our efforts. We appreciate the support of the community in assisting where necessary by reporting such instances so that we are able to uphold a fair playing field. 1st Dec 2018 note: It was erroneously stated that points for the teams would be removed from tournaments from the start of the ranking year. This was corrected to reflect the actual state which is points being removed from the date of offence onwards.